Electroshock Therapy. Ladder to Hell. Death March. Sound like torture? Well, it is. These are the names of obstacles ordinary people put themselves through for a mental and physical challenge. Whether it be the Tough Mudder or Spartan races, beginners or seasoned athletes, obstacle course races [OCRs] provide a distinct way of getting fit. Unlike a half-marathon, there’s more to an OCR than running. The Spartan Race website promises their races are “more than a race; it’s a way of life.” The Tough Mudder offers three, five, or 10 miles of obstacles where teamwork is a requirement to succeed. OCRs entice people with their unconventional style and promise of a stronger will. But with the conditions they bring — steep hills, slippery surfaces, electrified wire — comes hazards and risks for any person, no matter their skill level. Staring down from an eight-foot wall, Andrew Johnson, a commercial airline pilot, thought the hard part was over. Despite his physical strength — years of CrossFit training coupled with a three-and-a-half mile run three times a week in preparation for the eight-mile Spartan race— he only completed one mile before fracturing his heel bone. Positioned in the mountains of Blue Ridge, Pennsylvania, much of the terrain was uneven and rocky. Waiting in the medical tent for his teammates to finish the race, Johnson noticed a pattern. Owner of T3 Technologies LLC, and one of Johnson’s teammates, AJ Weisner saw flaws in the event personnel and how they helped injured competitors. Like Johnson, Weisner trained for the OCR by running and CrossFit. “CrossFit helps with upper body strength, jumping, and climbing for the obstacles,” he said. Last year, Weisner completed the Spartan TRIFECTA, a “club” reserved for those who can conquer the three levels of races Spartan offers: a Sprint (more than three miles), Super (more than 8 miles), and Beast (more than 12 miles). Though a veteran in OCRs, Weisner recognizes the importance of preparation and injury avoidance. He carries a CamelBak Hydration Pack, food, and ace bandages on race day. No matter how prepared a competitor is, physically or mentally, there is always risk for injury. The best preparation is staying alert. Preparation for an OCR starts the moment the sign-up button is clicked. While it is important to have the right materials for race day, and maintain an alert attitude throughout the race itself, it can be easy for beginners to over-exert their bodies. OCR-related injuries Deutsch sees are usually mild to moderate, including soft tissue contusions, ankle sprains, or lower back strains. Every once in awhile, the E.R. will see head injuries or hemorrhages. While OCRs are successful in encouraging people to try something new and challenge themselves, this encouragement may harm as well. The physical ability to tackle these races does not appear overnight. The Department of Health and Human Services recommends at least 150 minutes of moderate aerobic activity or 75 minutes of vigorous aerobic activity a week. “Avoid inactivity in general,” Deutsch said. For beginners who want to change their sedentary lifestyle, Deutsch recommends following the mnemonic ‘fit.’ The ‘F’ stands for frequency of activity, which should be four or five times a week. The ‘I’ indicates intensity. “The heart rate should be over 100, preferably 120,” Deutsch said. Lastly, ’T’ stands for time. A workout can last 30-35 minutes per session. Within six to eight weeks, the body will begin to change. And within 12 weeks, the “training effect” takes place, where the body responds to the training not only physically, but physiologically as well. There are more mitochondria per cell which means energy is used more efficiently and at-risk patients of cardiovascular disease could see lower cholesterol and triglyceride levels, both elements related to stroke and heart attack. So before signing up, take a moment to reflect. Remember the physical fitness needed, as well as the materials recommended to help throughout race day. Dr. Ashley Quinlan of Allentown Family Foot Care recently completed her first Tough Mudder. From first-hand experience, she suggests long-sleeve, breathable clothing and shoes with traction. And don’t forget the ever-present injury risk from the race itself. 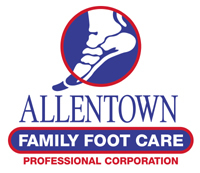 Dr. Raymond Fritz Jr. of Allentown Family Foot Care, and former SEAL Corpsman, recommends doing homework before race day. “Research the event’s safety profile and inquire about medical assets on site for the event,” Fritz said. “Injuries are always a possibility but it is the responsibility of the event director to minimize risks and make every attempt to maximize safety. Feeling fit and prepared isn’t the only thing a competitor needs to be. Injuries affect every racer, no matter their skill level. What matters most is being smart.